a)The output transformer uses exported audio special stalloy Z11(thickness is 0.35mm) and high strength oxygen-free copper wire enamel insulated wire. It can make make less electromagnetic interference, strong driving force,transparent sound powerful. c)The well-designed layout and reasonable distribution of circuit board　are simple and well-organized ,in order to minimize the interference signal, and make the music pure, the background quiet. d)It uses the SANYO precision movement, with good mechanical structure, stability, and smooth reading. The Servo circuit and Philips chip with high-precision clock system,effectively improve the linearity distortion. e)It uses the U.S.Cimus Logic'sCS4392 as DAC decoder. This chip is commonly used and it has a good reputation. f)Audio output has a tube　and the OPA, Operational Amplifier output, also has a coaxial digital signal output. g) OP-amp uses OPA2604 well accepted by Audiophile with a high fidelity,　sound quality and good music taste. 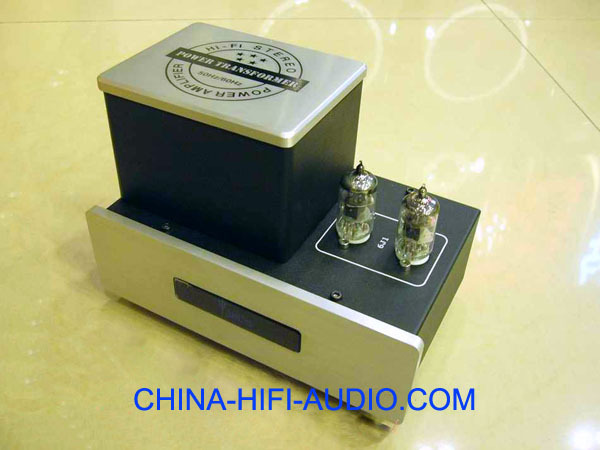 h)The valve use two 6N8P, and each channel circuit output followed by one tube in parallel, with low output impedance, strong resistance. 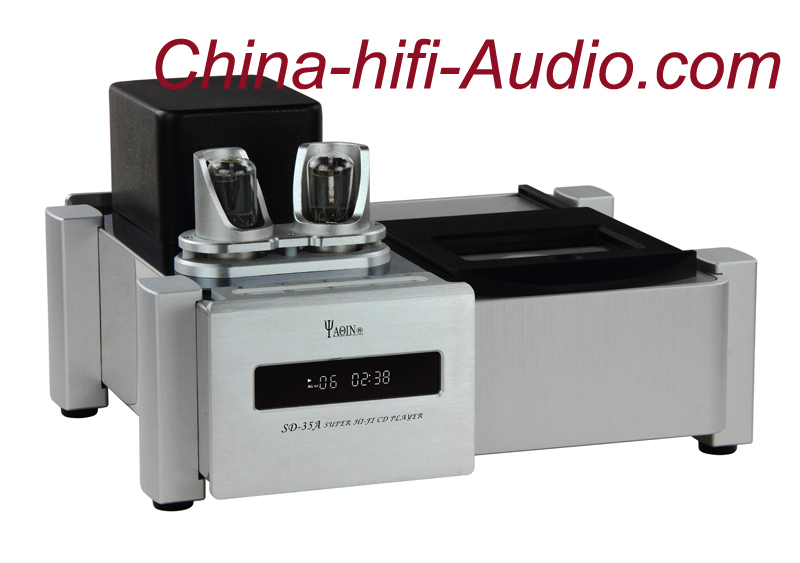 The output of both voice has strong amplifier taste, also has good low-frequency characteristics.